After two years of the same DOFUS World Series format, the competitive format of the game will take a new direction in 2019. The DWS – Summer Edition 2018 final took place a few weeks ago at Paris Games Week, where the players of team Out of Control scored first in this 3rd year of the competition, breaking the two-year streak held by GamersOrigin. Taking stock of the year as November rolled in, 2018 proved to be full of eSport competitions and events. Over the last several weeks, we've been taking a comprehensive look at the competitive system used in DOFUS for the last two years, and significant changes are expected in 2019. 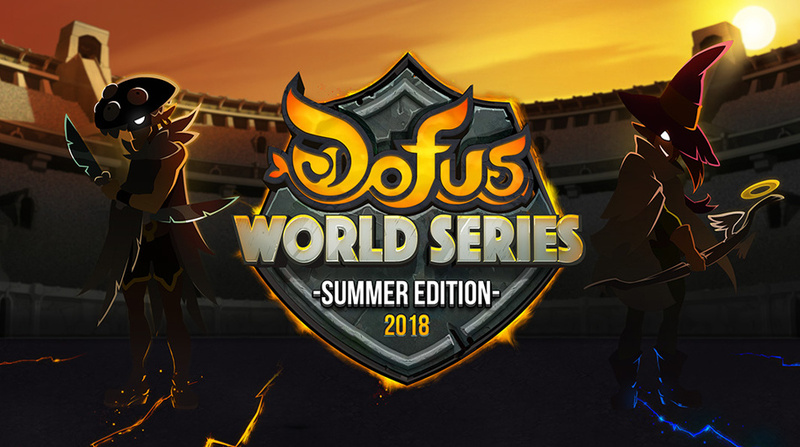 Although the details of the new system are subject to change and must be mulled over in-house before being revealed, we can announce that the DOFUS World Series format, as it existed in 2018, will no longer be in use next year. This format has allowed us to witness some epic matches over the three years the tournament has run so far, and it will remain an important milestone in the history of DOFUS competitions. But the end of DWS doesn't mean the end of competitive play in DOFUS, and we'll catch up with you again in January to explain how the new competitive system will work in 2019!